Full name is Luis Enrique Cessa (pronounced "SESS-uh")...Was a color analyst for FOX Latin America's broadcast of the 2016 World Series. Went 1-4 with two saves and a 5.24 ERA (44.2IP, 26ER) in 16 games (five starts) over eight stints with the Yankees (4/7-15, 4/17-6/27, 7/9, 7/25-26, 8/2-3, 8/15, 8/25 and 9/1-30)…was 1-4 with a 6.50 ERA (18.0IP, 13ER) in five starts and posted a 4.39 ERA (26.2IP, 13ER) with two saves in his 11 relief appearances…opponents hit .282 (51-for-181, 5HR); LH .266 (21-for-79, 2HR), RH .294 (30-for-102, 3HR)...Tossed at least 2.0IP in nine of his 11 relief appearances and 3.0IP in six of those 11 games...Started the season with Triple-A Scranton/Wilkes-Barre but did not make an appearance before being recalled on 4/7…made his season debut that day vs. Baltimore, closing out the game with a perfect ninth (1.0IP, 2K)...Was placed on the 10-day disabled list from 4/19 (retroactive to 4/18) - 6/21 with a left oblique strain, missing 55 team games…was removed from 4/17 loss vs. Miami in the eighth inning with the injury…in two rehab starts (1GS with Single-A Tampa, 1GS with Double-A Trenton), went 0-1 with a 3.18 ERA (5.2IP, 3R/2ER)...Earned the win in a spot start in Game 2 of a doubleheader on 7/9 at Baltimore (6.0IP, 3H, 0R, 3BB, 4K), his first win as a starter since 8/26/16 vs. Baltimore…snapped his 13-start winless streak, tied for the longest by a Yankees starter since 2002 (also Severino and Hughes)...Recorded a career-long 12.0 scoreless inning streak from 6/27-7/25...Started on 7/25 at Tampa Bay and took the loss (5.1IP, 4H, 2ER, 0BB, 3K, 1HR)…retired the leadoff batters over the first five innings…retired 11 straight batters faced from the second out in the second to the end of the fifth, then allowed a leadoff single in the sixth and a subsequent two-run HR to Kiermaier...Tossed the final 3.0 innings of 8/25 Game 1 win at Baltimore to earn his first career save (3H, 1ER, 1BB, 2K)…was the Yankees' "26th Man" for the doubleheader...Closed out 9/14 win vs. Toronto with 3.0 scoreless innings (3H, 1BB, 4K) to earn his second career save...Made the start on 9/30 at Boston and took the loss (0.1IP, 5H, 4R/3ER)…exited the game in the first inning after colliding with Eduardo Núñez at first base...In six games (five starts) for Scranton/WB, went 3-0 with a 2.73 ERA (26.1IP, 8ER)...In four spring training starts with the Yankees, went 2-0 with a 6.75 ERA (9.1IP, 7ER) and 10K. Went 0-3 with a 4.75 ERA (36.0IP, 19ER) in 10 games (ﬁve starts) over four stints with the Yankees (5/1, 6/15-7/8, 7/18-30 and 8/14-10/1)…was 0-3 with a 5.82 ERA (21.2IP, 14ER) in ﬁve starts and posted a 3.14 ERA (14.1IP, 5ER) without recording a decision in his ﬁve relief appearances... Tossed 4.2 scoreless innings (5H, 3K) in 7/4 loss vs. Toronto in the longest relief outing by a Yankee in 2017…was the longest scoreless relief appearance by a Yankee since Diego Moreno tossed 5.1 scoreless innings on 7/28/15 at Texas…became just the third Yankee since 1998 to toss at least 4.2IP with no runs or walks: Alfredo Aceves (5.1IP on 5/4/14 vs. Tampa Bay) and Aaron Small (6.2IP on 9/24/05 vs. Toronto)... Made his final relief appearance of the season in 7/30 loss vs. Tampa Bay, tossing 3.1 scoreless innings (1H, 4BB, 4K, 1WP)…was his highest strikeout total in 13 career relief appearances... Made his final appearance of the season on 8/14 vs. the Mets, starting and allowing 2ER in 4.1IP (5H, 1BB, 5K, 2HR) without recording a decision…allowed solo HRs to Granderson and Céspedes in the third, his second career multi-HR inning (also allowed 2HR in the sixth inning of a start on 9/11/16 vs. Tampa Bay)…recorded all three outs in the ﬁrst inning via strikeout…was his ﬁrst career appearance vs. the Mets, the organization that originally signed him as a non-drafted free agent inﬁelder in 2008... Was placed on the 10-day disabled list on 8/15 with a ribcage injury and transferred to the 60-day D.L. on 9/1…was reinstated on 11/3… missed the team's ﬁnal 45 games of the season... In 14 games (13 starts) with Triple-A Scranton/Wilkes-Barre, went 4-6 with a 3.45 ERA (78.1IP, 30ER) with 67K. Saw his first Major League action, going 4-4 with a 4.35 ERA (70.1IP, 64H, 36R/34ER, 14BB, 46K, 16HR, 3HP, 2WP) in 17 games (nine starts) over four stints with the Yankees (4/4-15, 5/17-6/7, 6/26-7/5, 8/11-10/2)…made his first career Opening Day roster…opponents hit .241 (64-for-266); LH .234 (26-for-111), RH .245 (38-for-155)…won his first four career decisions. Allowed 24 of his 36R on his 16HR (10 solo, 4 two-run, 2 three-run)…his 2.05 HR/9.0IP ratio (16HR/70.1IP) was fifth-highest in the Majors among pitchers with at least 70.0IP. Made his first eight appearances out of the bullpen, going 2-0 with a 5.30 ERA (18.2IP, 11ER)…allowed all four inherited runners to score…retired 6-of-8 first batters faced (75.0%)…permitted five of his 11ER in his final relief outing on 8/14 vs. Tampa Bay…tossed at least 2.0IP in 6-of-8 relief outings. Made his Major League debut in 4/8 loss at Detroit, entering the game in relief and allowing 2H and 1ER in 2.0IP (2K, 1HR)…struck out Justin Upton (swinging) in the seventh for his first career strikeout. Earned his first Major League win on 6/29 vs. Texas, allowing 1ER in 3.0IP (1H, 2BB, 2K, 1HR) to close out the game. Made his final relief appearance of the season in 8/14 loss vs. Tampa Bay, allowing a career-high 5ER in 3.0IP (5H, 1BB, 2K, 1HR). Joined the rotation on 8/20 and was 2-4 with a 4.01 ERA (51.2IP, 47H, 24R/23ER, 8BB, 35K, 11HR) in nine starts…the Yankees were 5-4 in his starts…his 1.06 WHIP as a starter was fifth-lowest among AL starters (min. 50.0IP)…since 1913, only four Yankees rookie starters threw at least 50.0IP and had lower WHIPs (Tiny Bonham-0.97 in 1940, Jose Contreras-0.99 in 2003, Masahiro Tanaka-1.06 in 2014, Stan Bahnsen-1.06 in 1968)…completed 6.0IP in 5-of-9 starts, permitted 3ER-or-fewer in 7-of-9, and allowed 6H-or-fewer in all nine…permitted HRs in 7-of-9 starts (11HR total, accounting for 15-of-24R). Became the second pitcher in Yankees history to toss at least 5.0IP and allow 6H-or-fewer in each of his first nine career starts (Rollie Sheldon, first nine starts, 4/30-7/9/61)…is tied for the second-longest streak by any Major League pitcher who debuted since 2000, behind Washington's Mike O'Connor (first 12 starts, 4/27-6/24/06). Was the second Yankees pitcher since 2009 to record quality starts in each of his first three career starts, joining Masahiro Tanaka (AL-record first 16 starts)…was one of two Yankees pitchers since 2004 to win each of his first two career starts (Shane Greene, first 2GS in 2014). Earned the win in his first Major League start on 8/20 at Los Angeles-AL after tossing 6.0 scoreless innings (3H, 1BB, 5K, 1HP)…was the first Yankee to record at least 6.0 scoreless innings in his first career start since Jorge De Paula on 9/26/03-G2 vs. Baltimore…at 24 years, 117 days old, was the youngest Yankees pitcher to toss at least 6.0 scoreless innings with 3H-or-fewer since Joba Chamberlain (23y, 309d) allowed 3H over 8.0IP on 7/29/09 at Tampa Bay.Went 6-3 with one complete game and a 3.03 ERA (77.1IP, 66H, 33R/26ER, 23BB, 69K, 8HR) in 15 games (14 starts) with the RailRiders…held opponents to a .235 (66-for-281) BA; LH .225 (27-for-120), RH .242 (39-for-161)…allowed 1ER-or-fewer in six of his last eight starts, going 6-2 with a 2.06 ERA (48.0IP, 11ER) over the span…in his last minor league start on 8/5 vs. Syracuse, struck out a season-high 11 batters over 7.2IP (5H, 1ER, 1BB, 1HR, 1WP) to earn the win…was one shy of his career-high 12K, set exactly three years earlier on 8/5/13 w/ Single-A Savannah vs. Charleston…threw his first career complete-game shutout on 7/26 vs. Buffalo (7.0IP, 4H, 1BB, 4K). In his first Major League spring training, posted a 1-0 record, a 3.27 ERA (11.0IP, 4ER) and 11K in six appearances (one start) to earn a spot on the Yankees' Opening Day roster. Combined to go 8-10 with a 4.52 ERA (139.1IP, 163H, 77R/70ER, 36BB, 119K, 7HR) in 25 starts between Double-A Binghamton and Triple-A Las Vegas in the Mets organization and Triple-A Toledo in the Tigers organization...Began the season with the B-Mets and went 7-4 with a 2.56 ERA (77.1IP, 77H, 25R/22ER, 17BB, 61K, 2HR) in 13 starts...ranked eighth in the Eastern League in ERA and tied for sixth in wins at the time of his 7/3 promotion...allowed one-or-zero runs in 8-of-13 starts...in his season debut on 4/12 at Akron, faced the minimum and permitted only 1H over 7.0 scoreless innings to earn the win (0BB, 8K)...Was 0-3 with an 8.51 ERA (24.1IP, 40H, 25R/23ER, 4BB, 24K, 3HR) in five starts for the 51s...Was traded to the Tigers along with RHP Michael Fulmer in exchange for OF Yoenis Cespedes on 7/31...made seven starts for the Mud Hens, going 1-3 with a 5.97 ERA (37.2IP, 46H, 27R/25ER, 15BB, 34K, 2HR)... Was added to the Tigers' 40-man roster on 11/3...Was acquired by the Yankees from Detroit along with RHP Chad Green in exchange for LHP Justin Wilson on 12/9/15. Posted a 7-8 record, a 4.00 ERA (114.2IP, 110H, 54R/51ER, 27BB, 83K, 7HR) and one complete game in 20 starts at Single-A St. Lucie...also made one spot start for Double-A Binghamton, taking the loss on 5/21 at Portland (3.2IP, 7H, 5ER, 2BB, 3K, 2HR, 1WP)...allowed a combined .259 (117-for-451) batting average; LH .283 (64-for-226, 7HR); RH .236 (53-for-225, 2HR)...Recorded a season-high 10K and did not walk a batter in a 6/4 win at Dunedin (7.0IP, 5H, 3ER). Went 8-4 with a 3.12 ERA (130.0IP, 136H, 53R/45ER, 19BB, 124K, 11HR) and one complete game in 21 starts at Single-A Savannah...ranked eighth in the South Atlantic League in ERA...among SAL pitchers who threw at least 125.0IP, finished third in K/BB ratio (6.53) and BB per 9.0IP ratio (1.32) and fifth in K per 9.0IP ratio (8.58)...Allowed 2ER-or-fewer in 13-of-21 outings and issued 1BB-or-fewer in 16-of-21 starts...Over his final 13 starts (beg. 6/1), was 6-2 with a 2.46 ERA (84.0IP, 79H, 26R/23ER, 10BB, 84K, 3HR)...logged a 19.1-inning scoreless streak from 5/26-6/15...Posted his first two career double-digit strikeout games, recording 10K over 7.2 scoreless innings (2H, 0BB) on 6/1 at Kannapolis and a career-high 12K over 8.0 scoreless frames (4H, 0BB) on 8/5 vs. Charleston...Was named SAL "Pitcher of the Week" for 5/27-6/3, going 1-0 with a 0.63 ERA (14.1IP, 1ER) and 17K in two starts. Spent the season with short-season Single-A Brooklyn, posting a 5-4 record while ranking 10th in the New York-Penn League with a 2.49 ERA (72.1IP, 64H, 21R/20ER, 13BB, 44K, 4HR) in 13 starts...allowed a .241 (64-for-266) opponents' batting average; LH .257 (28-for-109, 0HR); RH .229 (36-for-157, 4HR)...Allowed 2R-or-fewer in 11-of-13 starts, including his final start of the year, in which he permitted 1R over a career-high 8.2 innings (6H, 1BB, 2K) in a win on 9/3 vs. Lowell. Split his first season as a pitcher between the DSL Mets 2 and the GCL Mets, going 4-3 with one save and a 3.19 ERA (53.2IP, 48H, 23R/19ER, 13BB, 46K, 1HR) in 15 games (six starts)...limited opponents to a .239 (48-for-201) batting average...Went 0-1 with a 2.49 ERA (21.2IP, 19H, 8R/6ER, 3BB, 23K) in five starts in the DSL...was promoted to the GCL on 6/29 and was 4-2 with one save and a 3.66 ERA (32.0IP, 29H, 15R/13ER, 10BB, 23K) in 10 games (one start). Batted .162 (11-for-68) with 2R, 2 doubles and 3RBI in 23 games with the DSL Mets 1...committed 3E in 82TC (.963) while splitting time between 2B (10G/10GS) and 3B (10G/9GS). Made his professional debut as an infielder with the DSL Mets, batting .191 (17-for-89) with 17R, 1 double, 1 triple, 1HR, 9RBI, 19BB and 8SB in 34 games...posted a .379 on-base percentage...Committed 8E in 98TC (.918) while playing 3B (22G/21GS), 2B (8G/4GS) and SS (1G/0GS). September 1, 2018 New York Yankees recalled RHP Luis Cessa from Scranton/Wilkes-Barre RailRiders. August 26, 2018 RHP Luis Cessa returned to Scranton/Wilkes-Barre RailRiders from New York Yankees. August 25, 2018 New York Yankees recalled Luis Cessa from Trenton Thunder. August 19, 2018 RHP Luis Cessa assigned to Trenton Thunder from Scranton/Wilkes-Barre RailRiders. August 16, 2018 New York Yankees optioned RHP Luis Cessa to Scranton/Wilkes-Barre RailRiders. August 15, 2018 New York Yankees recalled Luis Cessa from Scranton/Wilkes-Barre RailRiders. August 3, 2018 New York Yankees optioned RHP Luis Cessa to Scranton/Wilkes-Barre RailRiders. August 2, 2018 New York Yankees recalled Luis Cessa from Scranton/Wilkes-Barre RailRiders. July 26, 2018 New York Yankees optioned RHP Luis Cessa to Scranton/Wilkes-Barre RailRiders. July 25, 2018 New York Yankees recalled Luis Cessa from Scranton/Wilkes-Barre RailRiders. July 10, 2018 New York Yankees optioned RHP Luis Cessa to Scranton/Wilkes-Barre RailRiders. July 9, 2018 New York Yankees recalled Luis Cessa from Scranton/Wilkes-Barre RailRiders. June 28, 2018 New York Yankees optioned RHP Luis Cessa to Scranton/Wilkes-Barre RailRiders. June 24, 2018 RHP Luis Cessa assigned to Scranton/Wilkes-Barre RailRiders. June 21, 2018 Luis Cessa roster status changed by New York Yankees. June 16, 2018 New York Yankees sent RHP Luis Cessa on a rehab assignment to Trenton Thunder. June 11, 2018 New York Yankees sent RHP Luis Cessa on a rehab assignment to Tampa Tarpons. April 19, 2018 New York Yankees placed RHP Luis Cessa on the 10-day disabled list retroactive to April 18, 2018. Left oblique strain. April 17, 2018 New York Yankees recalled RHP Luis Cessa from Scranton/Wilkes-Barre RailRiders. April 15, 2018 New York Yankees optioned RHP Luis Cessa to Scranton/Wilkes-Barre RailRiders. April 7, 2018 New York Yankees recalled Luis Cessa from Scranton/Wilkes-Barre RailRiders. March 23, 2018 New York Yankees optioned RHP Luis Cessa to Scranton/Wilkes-Barre RailRiders. November 3, 2017 Luis Cessa roster status changed by New York Yankees. September 1, 2017 New York Yankees transferred RHP Luis Cessa from the 10-day disabled list to the 60-day disabled list. Ribcage injury. August 15, 2017 New York Yankees placed RHP Luis Cessa on the 10-day disabled list. Ribcage injury. August 14, 2017 New York Yankees recalled RHP Luis Cessa from Scranton/Wilkes-Barre RailRiders. July 31, 2017 New York Yankees optioned RHP Luis Cessa to Scranton/Wilkes-Barre RailRiders. July 18, 2017 New York Yankees recalled Luis Cessa from Scranton/Wilkes-Barre RailRiders. July 8, 2017 New York Yankees optioned RHP Luis Cessa to Scranton/Wilkes-Barre RailRiders. June 15, 2017 New York Yankees recalled Luis Cessa from Scranton/Wilkes-Barre RailRiders. May 2, 2017 New York Yankees optioned RHP Luis Cessa to Scranton/Wilkes-Barre RailRiders. May 1, 2017 New York Yankees recalled Luis Cessa from Scranton/Wilkes-Barre RailRiders. March 24, 2017 New York Yankees optioned RHP Luis Cessa to Scranton/Wilkes-Barre RailRiders. August 11, 2016 New York Yankees recalled Luis Cessa from Scranton/Wilkes-Barre RailRiders. July 5, 2016 New York Yankees optioned RHP Luis Cessa to Scranton/Wilkes-Barre RailRiders. June 26, 2016 New York Yankees recalled Luis Cessa from Scranton/Wilkes-Barre RailRiders. June 7, 2016 New York Yankees optioned RHP Luis Cessa to Scranton/Wilkes-Barre RailRiders. May 17, 2016 New York Yankees recalled Luis Cessa from Scranton/Wilkes-Barre RailRiders. April 15, 2016 New York Yankees optioned RHP Luis Cessa to Scranton/Wilkes-Barre RailRiders. December 9, 2015 New York Yankees traded LHP Justin Wilson to Detroit Tigers for RHP Chad Green and RHP Luis Cessa. November 3, 2015 Detroit Tigers selected the contract of RHP Luis Cessa from Toledo Mud Hens. August 3, 2015 RHP Luis Cessa assigned to Toledo Mud Hens. July 3, 2015 RHP Luis Cessa assigned to Las Vegas 51s from Binghamton Mets. April 2, 2015 RHP Luis Cessa assigned to Binghamton Mets from St. Lucie Mets. May 23, 2014 RHP Luis Cessa assigned to St. Lucie Mets from Binghamton Mets. May 21, 2014 RHP Luis Cessa assigned to Binghamton Mets from St. Lucie Mets. April 3, 2014 RHP Luis Cessa assigned to St. Lucie Mets from Savannah Sand Gnats. September 24, 2013 Savannah Sand Gnats activated RHP Luis Cessa from the 7-day disabled list. September 12, 2013 Savannah Sand Gnats placed RHP Luis Cessa on the 7-day disabled list. Right elbow strain. August 23, 2013 Savannah Sand Gnats activated RHP Luis Cessa from the 7-day disabled list. August 12, 2013 Savannah Sand Gnats placed RHP Luis Cessa on the 7-day disabled list. Right shin contusion. April 2, 2013 RHP Luis Cessa assigned to Savannah Sand Gnats from Brooklyn Cyclones. June 16, 2012 Luis Cessa assigned to Brooklyn Cyclones. 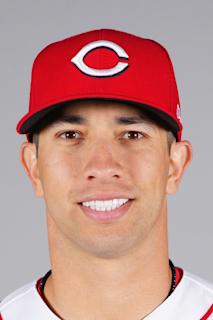 July 2, 2011 Luis Cessa assigned to GCL Mets from DSL Mets2. May 29, 2011 Luis Cessa assigned to DSL Mets2 from DSL Mets1. May 30, 2009 Luis Cessa assigned to DSL Mets. July 9, 2008 New York Mets signed free agent Luis Cessa.